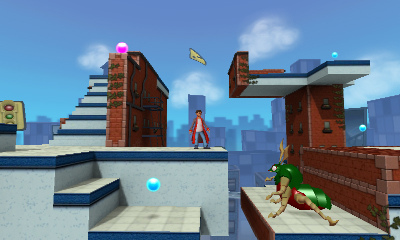 One of the titles that started the 2D to 3D gameplay craze is coming back on the 3DS. 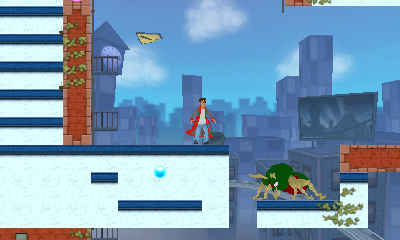 The PSP's Crush, released in 2007, was heralded as one of the system's most unique titles due to its primary gameplay mechanic. 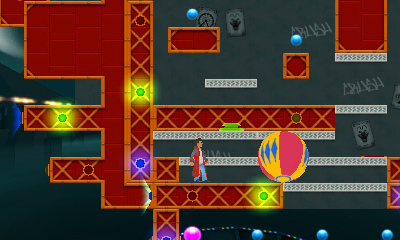 The puzzle game forced players to collect marbles by switching between 2D and 3D perspectives, enabling new paths through each level. 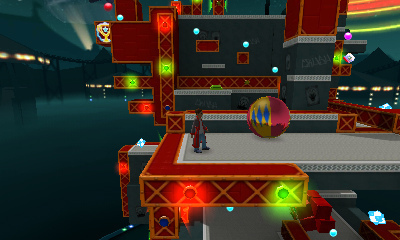 Sega recently announced that Crush is back, but on the 3DS in the form of Crush3D. It's a title you could either interpret as Crush 3D, or "crushed" in l33t-speak. Sega got pretty lucky there. Players will go back into the mind of Danny as he tries to cure himself of mental ailments (he's collecting his marbles, get it?). Sega says that Crush3D is based on Crush, but features the addition of new locations, new characters, and a hint system. There's also StreetPass functionality, for anyone that can actually use it outside of Japan, that'll leave gifts for friends to collect. It's the perfect game for a 3D system, and should literally make the world pop right into your face when Danny does his "crush" move. The graphics are lighter and a little more cartoony this time, possibly to appeal to a younger crowd, but the addition of a hint system makes me believe it'll still be a challenge. Crush3D is coming to the 3DS in North America on September 6, and in Europe/Austrailia on September 9.